Two dairy farmers associations in South Cotabato recently received dairy buffalo modules from the Philippine Carabao Center (PCC) valued at Php9 million. The Philippine Carabao Center at University of Southern Mindanao (PCC-USM) awarded 14 Italian buffaloes to Canahay Dairy Farmers Association in Surallah and 15 Italian buffaloes to Sto. Niño Dairy Farmers Association in Sto. Niño; both towns are in South Cotabato. The separate turn-over ceremonies were conducted last December 14. Both occasions were highlighted with the signing of a Memorandum of Agreement between PCC and the respective local government units (LGUs). A total of 29 farmer-recipients signed a contract under the “Modified Paiwi Scheme” 25-dairy buffalo module where farmer-recipients can have full ownership of the animals after fulfillment of obligations stipulated therein. Specified in the contract is PCC’s counterpart in terms of technical support provision in the areas of health management, breeding, dairy production, record keeping, product development and marketing for a sustainable Carabao-based Enterprise Development (CBED). The Provincial Veterinary Office will complement this role in terms of providing other animal health-related services. 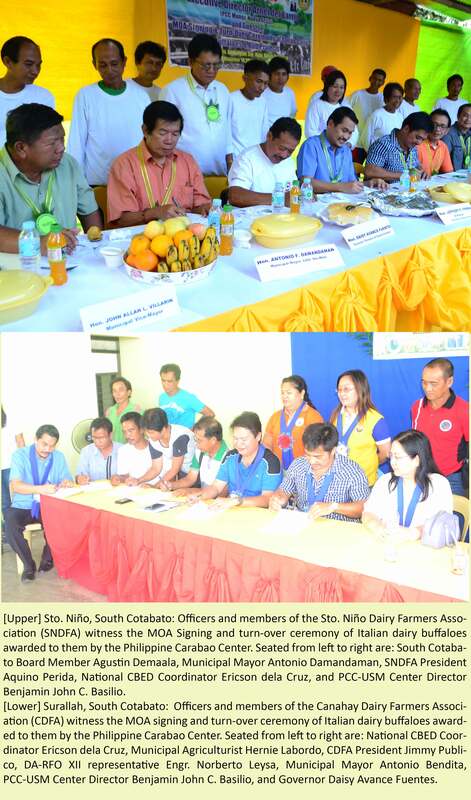 The LGUs, on the other hand, expressed their full support to the dairy associations and committed to fund the needed infrastructure and purchase of milking machine. This commitment is expected to boost the envisioned goal of the dairy enterprise such as to produce fresh milk and milk-based products and make these available in the two municipalities and nearby areas, consequently increasing incomes for the families and their respective communities. 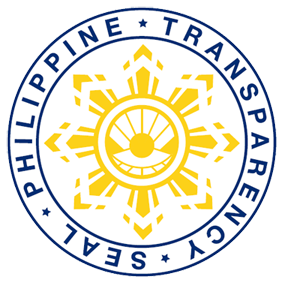 Among those who attended the occasion were: South Cotabato Governor Daisy Avance Fuentes of South Cotabato Province, Surallah Mayor Antonio O. Bendita, Sto. Niño Mayor Antonio F. Damandaman, 2nd District Congressman Fedinand L. Hernandez, Board Member Agustin Demaala, Provincial Veterinary Officer Dr. Flora D. Bigot, Municipal Agriculturists Hernie S. Labordo (Surallah) and Ofelia P. Duco (Sto. Niño), DA-RFO XII representative Engr. Norberto Leysa, National CBED Coordinator Ericson N. dela Cruz, PCC-USM Center Director Benjamin John C. Basilio, and Dr. Jeoffrey Atok of the University of Southern Mindanao. Sangguniang Bayan members, barangay captains, officers and members of the two recipient dairy associations, and staff members from DA-LGU and PCC-USM also witnessed the ceremony.